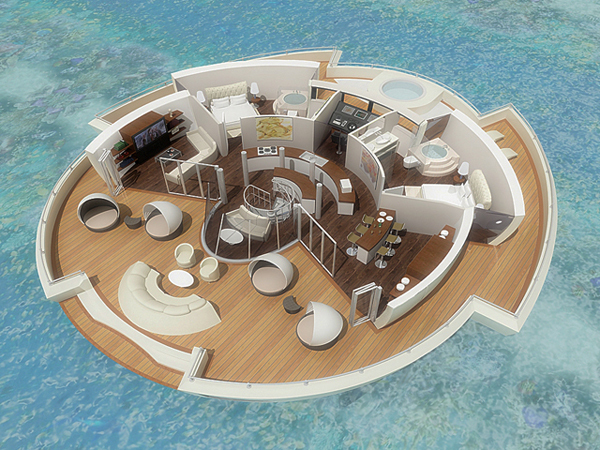 Amazing Pictures of Floating Island | Ever daydream about having your own private island? 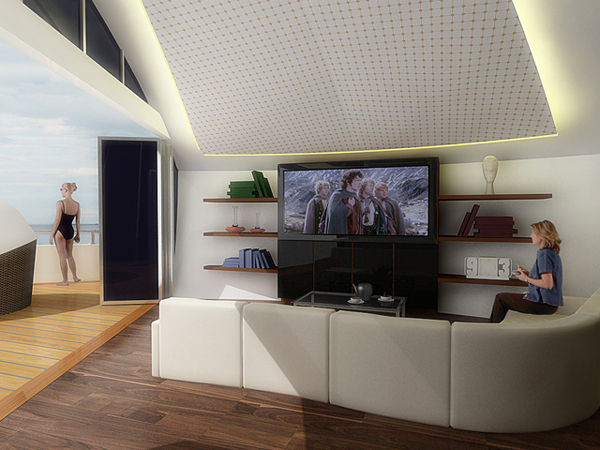 Those dreams are about to get a little more high-tech. 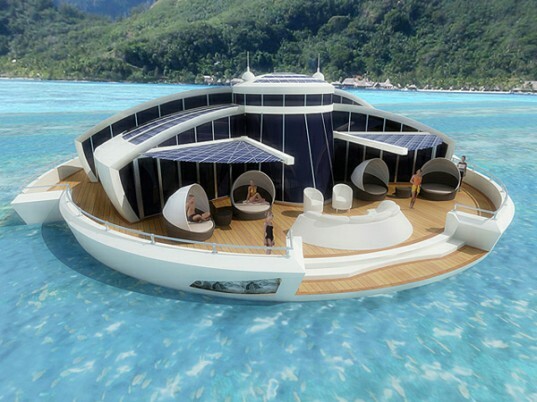 Meet the Solar Floating Resort (SFR), a concept design by Michele Puzzolani. 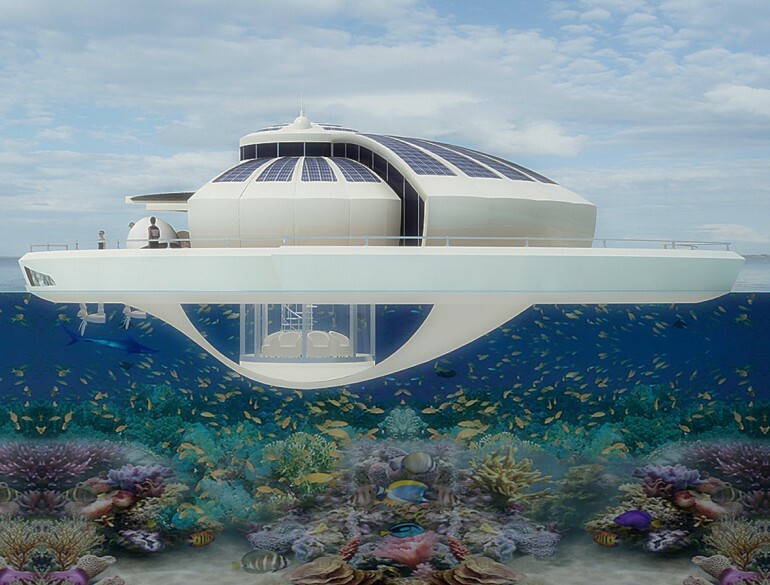 This miniature private resort can sleep six people and features an underwater observation room as well as an on-deck Jacuzzi. 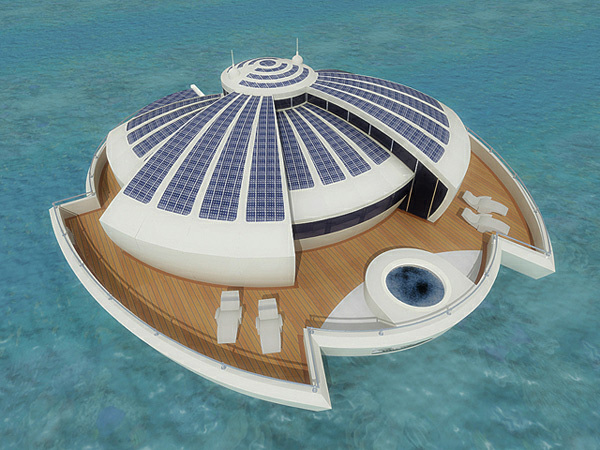 It’s also covered in thin-film photovoltaic panels to soak up all those rays.